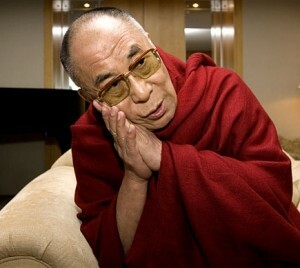 “My religion is very simple, my religion is kindness” ~ The Dalai Lama. Kindness is the foundation of most religions. This tenet is at the core of most persons lives. A simple answer in a complicated world. The Dalai Lama used this quote at the end of his message to people around the world on 9/11. It’s message was for people to only have kindness for others. It was a challenge for everyone to change their lives to counteract the evil acts which were becoming more frequent in all of our lives. Thousands of years have gone by and thousands more will and the message of kindness remains a constant. It is so simple to begin embracing kindness, one just needs to start. All of us have the opportunity with our next breath; this is the message of this beautiful man. In five short days, a new calendar year begins. Many people create lofty New Year goals for themselves, only to fall short at times. What a great time to start working on the simplest goal in your life; Kindness. The simplest goal with the biggest impact. Please consider taking the kindness challenge by printing a Kindness Certificate at the top of this page, for everyone in your family and everyone you know. ***This first of five blogs was posted two years ago. The series had such interest, that I have decided to post them again. This entry was posted on Thursday, December 27th, 2012 at 7:08 pm	and is filed under Kindness. You can follow any responses to this entry through the RSS 2.0 feed. You can leave a response, or trackback from your own site.